Now that Thanksgiving has come and gone, it is the perfect time to start prepping your Foxbank Plantation home for the most wonderful time of the year! So, put down the plate of leftover turkey and stuffing and get ready to dive headfirst into transforming your home into a true winter wonderland. 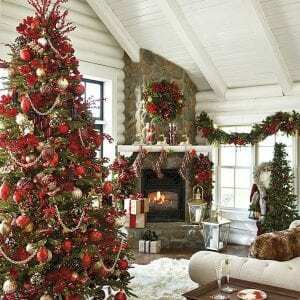 You can’t go wrong by decking your home with classic Christmas decorations. 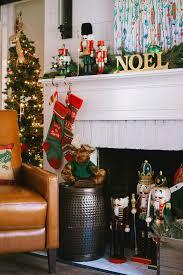 Keep it simple with red stockings, plenty of garland and scenes of Santa and his eight tiny reindeer. For the tree, add some glass ornaments, beaded garland and tiny lights for a simple, yet elegant look that will feel quintessential Christmas. 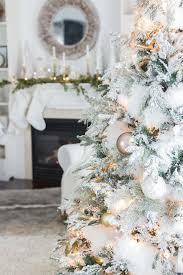 For a more elegant look, consider going with a White Christmas theme. Using simple greenery as a foundation, add in plenty of silver and white for the feel of a snow-filled holiday within your own home. Trade out red poinsettias for white ones and don’t be afraid to sprinkle in plenty of snow and snowflakes to accent your decorations. With the newest Nutcracker hitting theaters this month, it is only fitting that you use the magical world of the Nutcracker for inspiration for your holiday decorations. Cover your rooms with nutcrackers of varying sizes, whimsical ballerinas and colorful candy to transform your home into the inviting world of Clara’s imagination. Living in the Lowcountry, it is easy to use the beach and ocean for inspiration. Consider pulling in various blues and neutrals for your base colors, adding in sand dollars and rustic sweetgrass décor to bring a true taste of the Lowcountry into your home this holiday season. 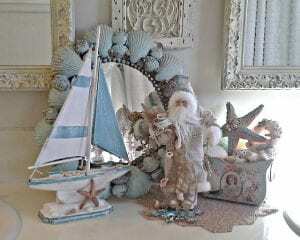 This entry was posted in Foxbank Plantation, Interior Design and tagged Christmas, Holiday, Interior Design. Bookmark the permalink.